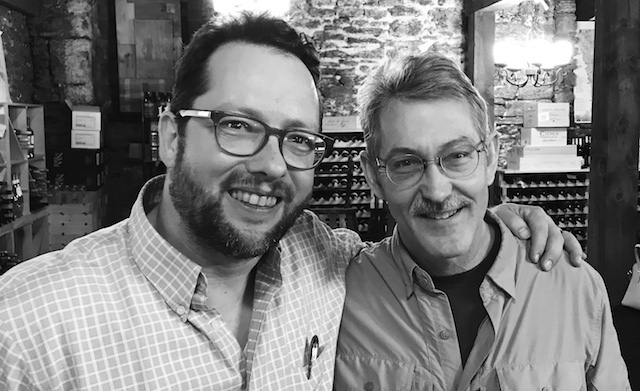 We’re proud to announce local wine legend Chris Griese has joined Twin Cities Wine Education! There is nobody, absolutely nobody, that has impacted my wine life more than this guy. 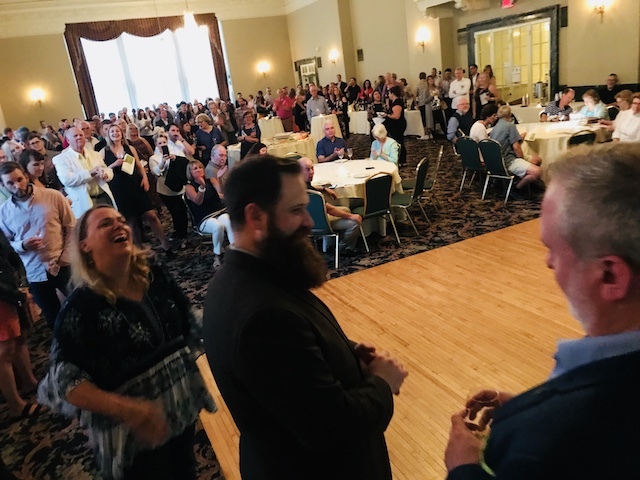 Chris is legendary in the local wine scene, being the former VP of Sales for the original incarnation of World Class Wines in addition to being respected and loved by everybody in the industry. Chris hired me for my first great wine wholesale job in 2002, and mentored and coached me ever since. 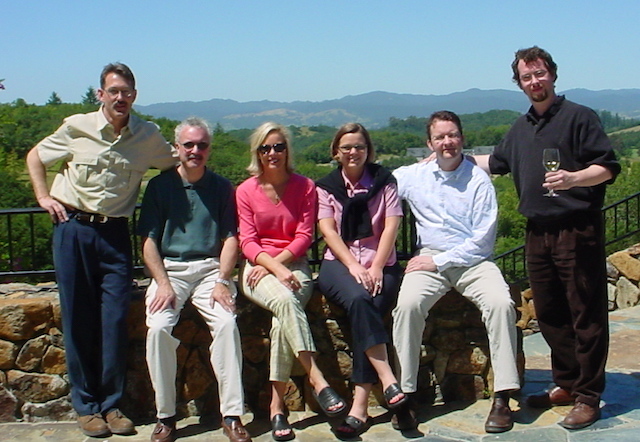 Photo: A 2002 visit to Chalk Hill winery in Sonoma. Chris Griese on the left, me on the right, and our co-workers Jerry, Shelly, Nicole, and Brandt in the middle. It was a great visit to a legendary property at the top of their game. 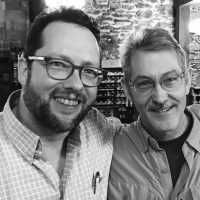 Following the shift of World Class Wines to being owned by Southern Wines and Spirits, Chris and I no longer worked together but would gather regularly to enjoy coffee and wine, talking about the massive changes in the industry, and encouraging each other through job changes. He was the first one I confided in when I was planning on quitting my day jobs and go head first full time into Twin Cities Wine Education. His encouragement gave me the confidence to jump from a plane not knowing how I would land. And now this amazing and respected individual is joining Twin Cities Wine Education. It’s all full circle and I’m excited beyond belief. Chris and I will be working hard on the restaurant staff training side of the business, building programs to help owners and buyers with training and profitability, plus doing intense staff development for key restaurants and retailers in the state. It’s going to be a strong corner of the business, and made possible only because of the addition of Chris. The next time you see Chris give him a high five! Thanks for wanting to join us on this journey, my friend! Big news. Very excited for you both. I first met Chris when he was the head wine dude at Quality Wine & Spirits circa 1985! A nicer, more passionate wine expert you’ll never meet. Congratulations to all.